FATIMA Vision Of City Half In Ruins & Synod On The Youth: Will RAD TRADS BOMB Synod Killing Scores Of Cardinals Bishops & Priests? Rad Trads now have a place and time where all Priests Religious Bishops & Cardinals will be gathered together. What Nation State or Intelligence Agency will help Rad Trads murder their enemies? Will it be a Muslim Nation State that will commit the crime with the help from Rad Trads? Remember the Rad Trads claim that they will be doing God's work and Muslims claim the same. Viganò Tracker: Missing For Nine Days. Why is the Great Sequestered Viganò in hidding? Pope Pius X Prophecy And The Great Sequestered Viganò: Is It Viganò Who Will Name Himself Pope Pius XIII? The Great Sequestered Viganò has fled Rome in fear of his life! How many Rad Trad bloggers told us that they are worried for the safety of The Great Sequestered Viganò? The Great Sequestered Viganò fleeing Rome sounds familiar doesn't it? Who else flees Rome in fear of his life? Is It Viganò That Passed Through A Big City Half In Ruins And Half Trembling With Halting Step, Afflicted With Pain And Sorrow, He Prayed For The Souls Of The Corpses He Met On His Way? #francismustresign VERSUS Mélanie's Prophecy Of The TWO POPES! The above words of Mélanie will be true if both Pope Benedict and Pope Francis die before another Pope is elected. Then the above words of Mélanie will be true. There is a group of enraged folk who hate the message of La Salette and are calling for THREE POPES. Yes - these same enraged laymen were foaming at the mouth when Pope Benedict resigned and Pope Francis was elected - these demented laymen said that a Pope could never resign - we can't have TWO POPES! remember all those comments? Well things have changed now and these same enraged laymen are now demanding that Pope Francis resign. How Long Before Viganò Starts His Own Church? 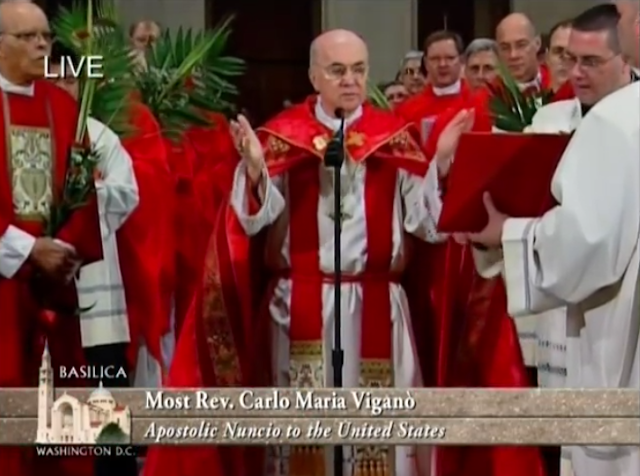 How long before Archbishop Carl Maria Vigano starts his own church? "If You See Me, Weep." Flying In The Habitat Of Demons Pope Francis Had This To Say: "I Am Not Going To Say A Word About This"
The Pope was questioned about the allegation aboard the papal plane this evening on the way back to Rome after his visit to Ireland for the World Meeting of Families. 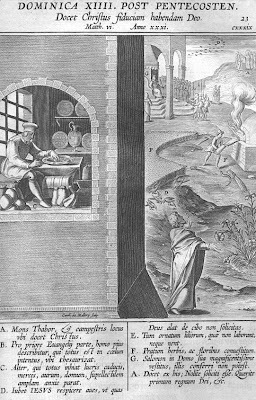 “Read the statement carefully yourselves and make your own judgment. I am not going to say a word about this,” Pope Francis said.